Now what I've got is a fourth the size of the corresponding area in the old whitebox, but it works much better scale-wise and there's a much better sense of location and where you are and such. 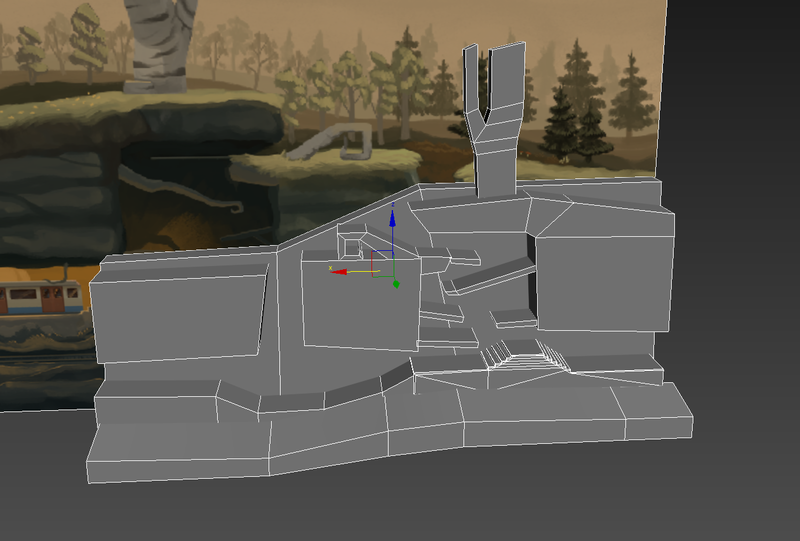 I'll have to give the rest of the environment the same treatment, but it's not as important since those parts are mostly quite straight forward and have little verticality to them. I'll be the first to admit that last week was incredibly unproductive. I was threading water a lot, I have a lot of tasks that need finishing and I have a hard time settling down and giving any one task the attention it needs, and I was really just generally a bit burnt out with it all, I think. I'll just trudge on and try to break down and select my tasks better from here on. Better planning.